Today, I am sharing a few of my Instagram posts. You might have noticed if you follow me on Instagram (or other bloggers) that sometimes at the end of the post it says “@LIKEtoKNOW.it”. Well, this is a way to shop (and find out the outfit details) of my Instagram post by signing-up with LIKEtoKNOW.it. Lastly, I love denim. I definitely wear jeans more than skirts, dresses, or pants. They are my daily uniform on most days. I am so excited to be sharing that Shopbop has created its own exclusive denim collection with some of the top designers. 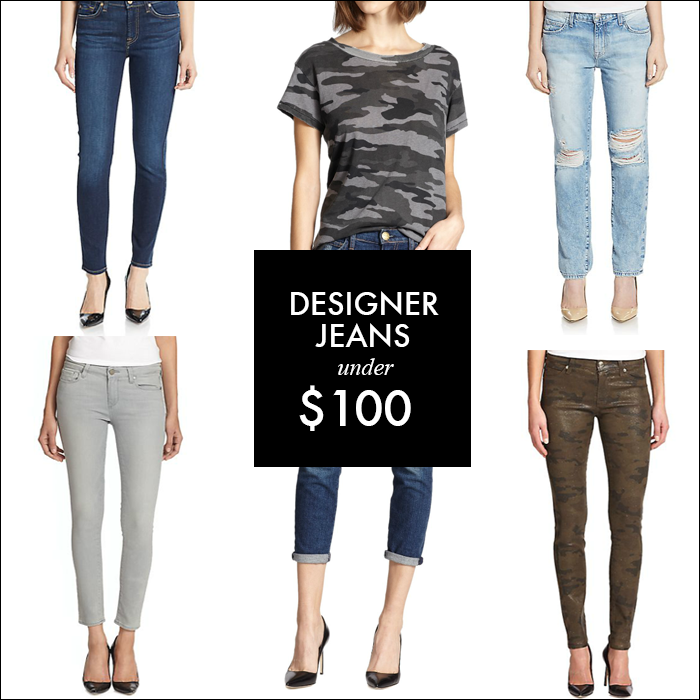 They are all the on trend styles for fall - skinny, flares, slim boot, gray denim, and distressed. 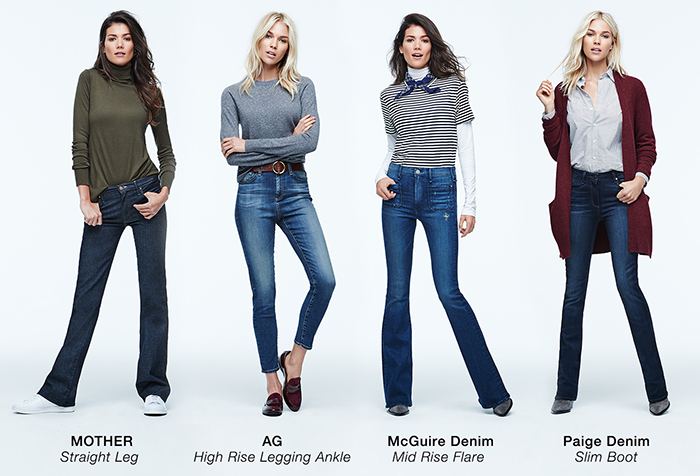 What's your favorite denim style for fall? And, I am participating in the following link-ups. Hey, love! I am at school and tried to click on the link to the $38 poncho but the school district filters blocked the site. Gotta love it! Is it by chance from Charming Charlie's? I breezed in there for two secs while PC was in the car on Friday and saw a lovely poncho for $38. I love the way yours lays softly. I bought one last year that must have been woven with wire! Sticks out everywhere. Your pieces are lovely and affordable. Thank you for the inspiration. P.S. How are you taking the great shots of your outfits? Selfie stick? I do not have a selfie stick - but I have thought about getting one. It just takes several (I mean - many!) takes before I get one I like. Thanks, Leslie! Thank you! I think I may ask Santa for a self-stick. PC did get me a tripod but I never seem to have time to take a zillion pictures running back and forth from the camera to check them out. You always look run-way ready. I think at 57, I will just be happy to be only a little out of focus. 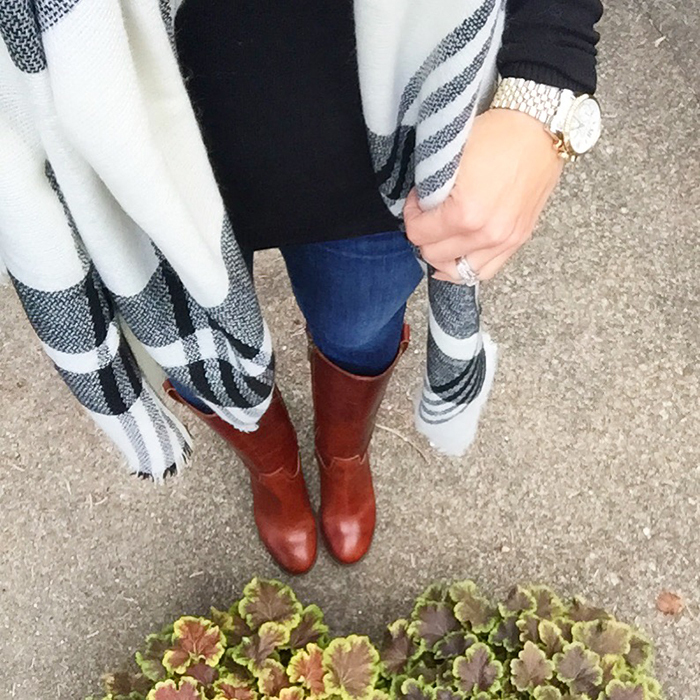 I love your fall looks! That poncho is so on trend and gorgeous. YAY for fall fashion. Thanks for the inspiration. 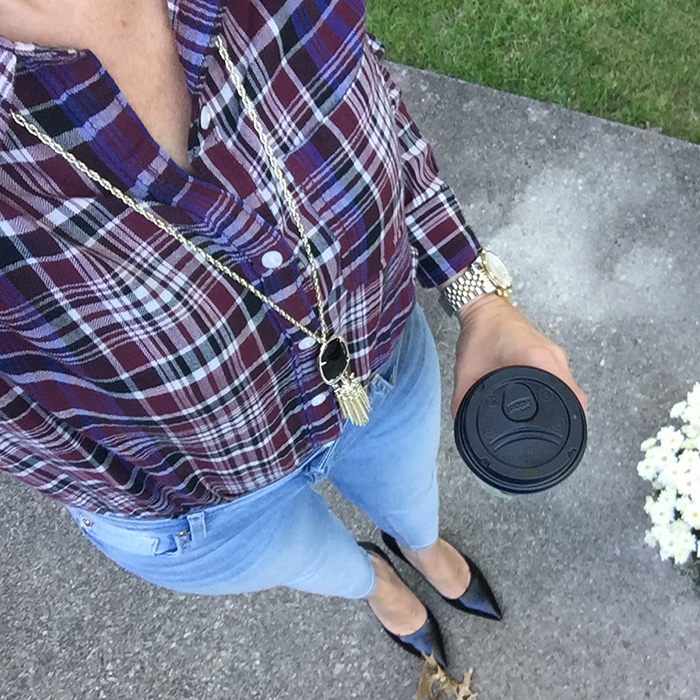 You have so many great Fall looks already! I love the plaid and that amazing poncho! And you can't be it for the price, right?!? I like all these looks. My favorite are the distressed jeans. Some sharp looking autumn looks! I sooo Love these chic fall outfits of yours and those shoes are really pretty. 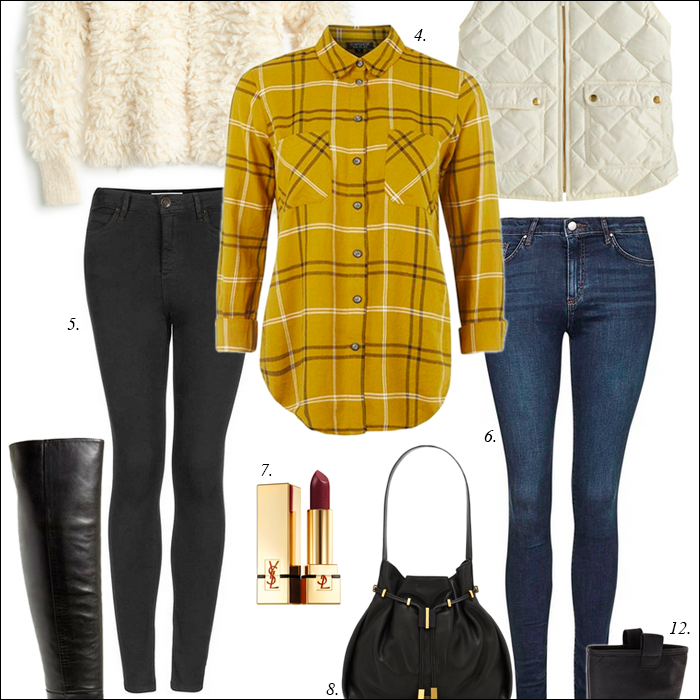 yellow plaid! I love it! All these looks are amazing!! I adore that last look. 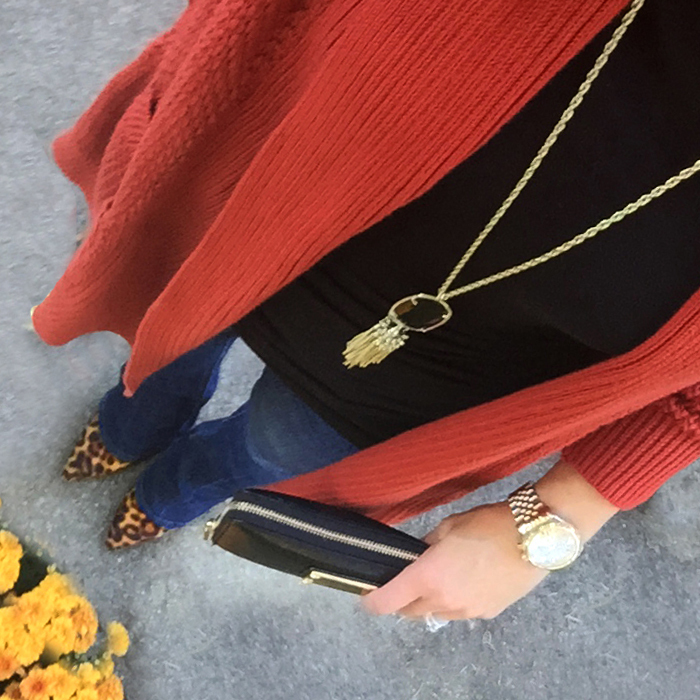 Loving the orangish cardigan! All these looks make me long for cooler weather. Love the way you have laid it out.